In a twist that surprised even Cassandra Clare herself, the casting for Simon Lewis has been determined for the upcoming Mortal Instruments film! Though originally this news was not supposed to be released until July, our favorite author/blogger posted the whole story just yesterday—and made no secret of the fact that she is absolutely thrilled with the casting (no sarcasm whatsoever). For those of you who haven’t read the books (yet), Simon serves as the ever-loyal Duckie to Clary’s Andie. He’s the endearing best friend, sidekick—and happens to hold an unrequited love for the main character. And, per usual, Clary is completely blind to it all. To top it all off, Simon also spends a good portion of the first book as a rat—and I’m not speaking figuratively. Can I get a sympathetic ‘aw’? So who’s the lucky guy playing the unlucky-in-love Simon? 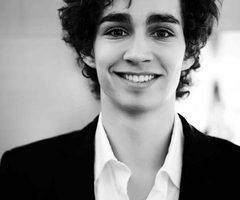 None other than Robert Sheehan from Cassandra Clare’s beloved TV show, Misfits. Isn’t he cute? And while I haven’t really seen him act in anything, he looks like he might be able to pull off the requisite endearing qualities, but what do you think? Are you as happy about this casting as Cassandra Clare seems to be? 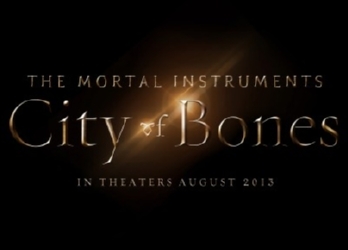 Oh, and as an added bonus…check out the sneak peek movie posters for City of Bones! They have a certain minimalist appeal, don’t you think?